50 amp 125 volt 3-wire male twistlock plug. Configuration CS6361. UL Listed. 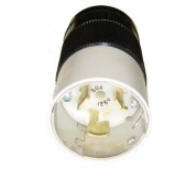 Connects to Parallel power kit Model 6370C.